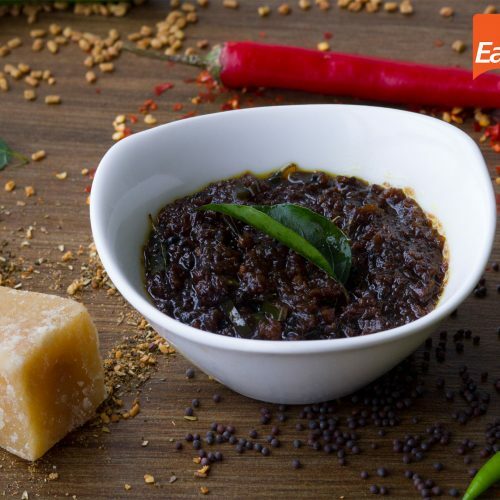 Puli Inji is a tangy spicy condiment in which the main ingredients are ginger, tamarind, jaggery and green chilly. It is served as an appetizer in any sadhya, and can be stored for many days if refrigerated and handled with care. 1Dissolve Tamarind in half cup of water and keep is aside. 1Heat some oil in a pan and splutter the mustard seeds. 2Add the ginger, green chilly, curry leaves and some salt, and saute until it is golden brown. Fry them crisp. 3Add the chilly, turmeric and asafoetida powders and stir the mixture well. 4Add the tamarind water to this and stir well until the gravy thickens. 5Add the jaggery powder to it and mix well. 6Remove from heat and allow to cool.